If you’re like me, one of the highlights of Halloween is to witness the wide array of costumes, worn by young and old, either in person or via Facebook. In my opinion, the most intriguing part of any costume is the mask. Unlike other costume accessories, a mask often leaves people asking, “Who is that?” Without the ability to see behind the mask, we’re left wondering who the real person is. Now that Halloween is over, it would be safe to assume that all of the masks are safely tucked away for a future occasion, right? Unfortunately, for countless pre-teens and teens, this isn’t the case. While they certainly won’t be wearing the kind of mask we’re all familiar with, many of our youth will revert back to a different kind of mask; a mask that’s unseen by the human eye, but can always be detected by the human heart. The mask I’m referring to is what I call the mask of inauthenticity. You see, pre-teens and teens live in a world dominated by technology, more specifically social media. Unfortunately, the name of the game with regard to social media is not necessarily to connect, but rather to portray a distorted sense of self. In other words, instead of choosing authenticity and vulnerability, which manifest in the expression of emotions, many youth move in a direction of inauthenticity and isolation, which manifest in the repression of emotions. For parents, the most difficult challenge with regard to detecting this mask of inauthenticity is the fact that pre-teens and teens have become experts at luring us into believing that everything is okay. If you look at a typical teenager’s social media page, you would likely see a combination of smiling selfies and happy emoticons. On the surface, this would convey a happy, contented individual. In many cases, however, this is simply a component of the mask. 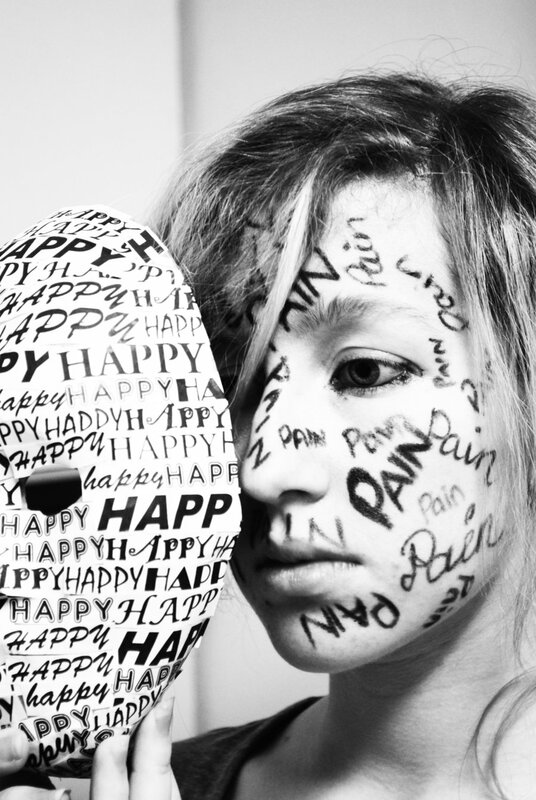 You see, underneath the smiles are various emotions (anger, jealousy, and shame) that are begging for attention. In the past year, a high school located just a half mile from where I live, has experienced two student deaths by suicide. In both cases, the young men were extremely well-liked, athletic, and appeared to have the world at their fingertips. However, following their deaths, it was clear that plenty of emotional turmoil was brewing underneath the mask. This is often the case following a suicide. My mission in life is to empower all youth with the critical skills of social and emotional intelligence. In doing so, I also seek to empower parents to reinforce these skills. My sincere hope is that together we can slowly assist youth in removing their own masks, ultimately helping them to discover the inherent beauty of their lives and the many gifts they bring to the world. Below are three talking points that I encourage all parents to read, understand, and apply. Assure your child that emotions are part of being human. Anger, sadness, and jealousy are not bad emotions; they are simply energy in motion. We must empower them to use the energy in a meaningful way. Just as we use an electrical outlet as an energy source to power our devices, we can use our emotions as an energy source to power our lives. Acknowledge and validate whatever your child may be feeling. As parents, it’s easy to dismiss what our kids say and perhaps label it as unnecessary whining or complaining. However, the deepest need of the human heart, regardless of age, is to be understood. When you acknowledge their emotions, you are seeking to understand. If you want to create a safe space for communication, I urge you to validate their emotions. Validating doesn’t mean that you agree or disagree with them, it just means that you acknowledge the space they’re in. This goes a long way in establishing trust. Tell your child you love them. I know this sounds cliched, but it’s easy to overlook these powerful words. Don’t just say it once out of obligation, say it all of the time out of commitment. To read a very powerful poem about the notion of a mask, titled Please Hear What I’m Not Saying, click here. Enter your email address to subscribe to this blog and I'll send you a free copy of my book.